Classic lines and modern materials combine to inspire the Redmond Collection. 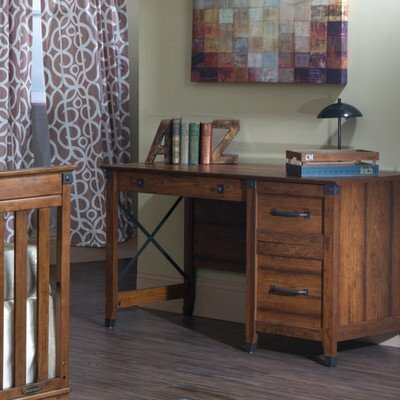 You will love the versatility and style of the rich cherry finish and sturdy, craftsman-era hardware, that create a unique, timeless collection that will impress for years to come. The desk provides three drawers for generous storage space. Drawers feature easy-glide metal runners. Wrought iron style drawer pulls highlight the drawers. Five year limited warranty. Made in the U.S.A. If you have any questions about this product by Child Craft, contact us by completing and submitting the form below. If you are looking for a specif part number, please include it with your message.